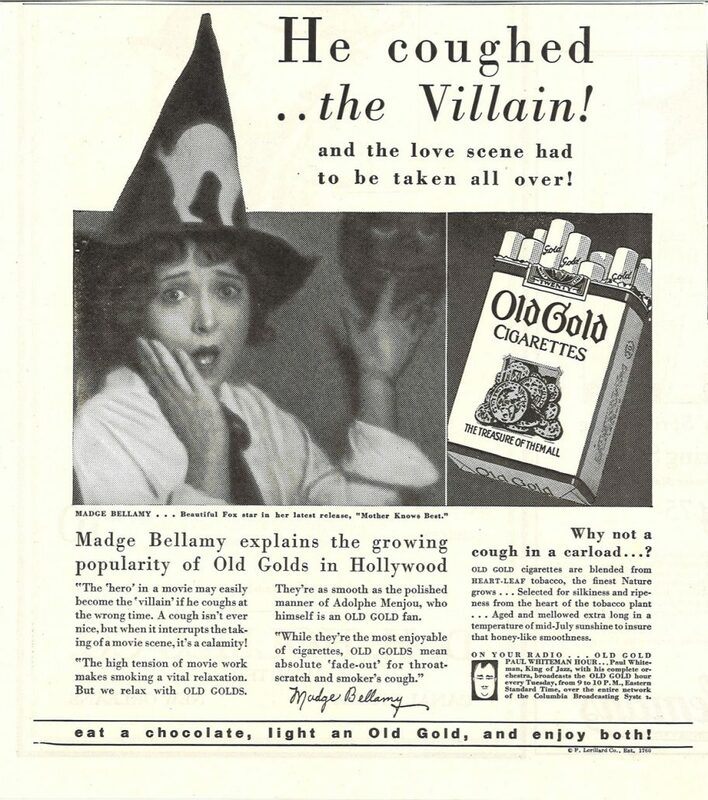 In contrast to theaters for live stage plays, the early photoplay houses permitted smoking in some sections. Larger theaters permitted smoking in the balcony only, and the grandest theaters such as New York City’s Radio City Music Hall and The Fox chain also offered elegant smoking lounges that featured plush furniture and fireplaces. The movies appealed to a more socioeconomically diverse audience than the stage-play theaters and created a more escapist, relaxed environment. Lobby concession stands sold cigarettes, as did tobacco shops built into the arcades leading into some movie palaces such as The Strand in New York City. The rise of the movie palace thus paralleled the rise of smoking in America. Cinema and cigarettes enjoyed a symbiotic relationship. 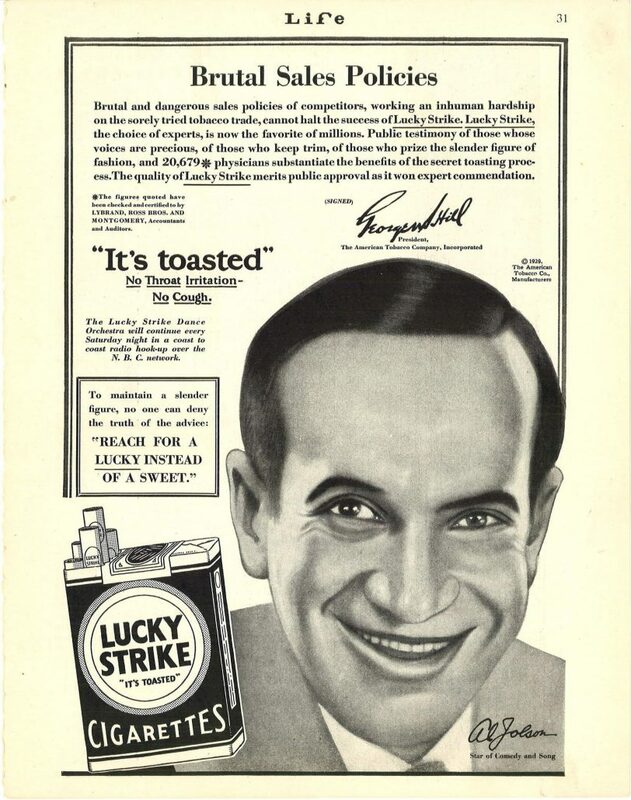 Smoking became totally engrained in the movies, both on the big screen and in the theater. Smoking became downright patriotic. 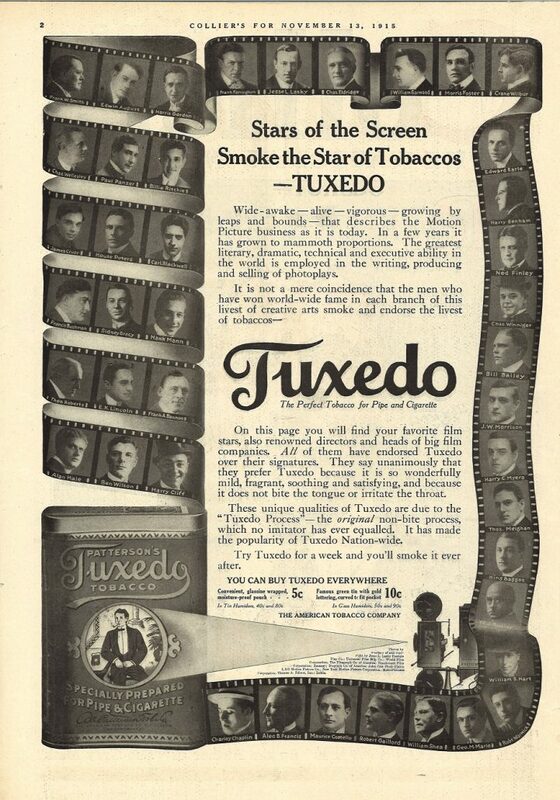 In World War I cigarettes were shipped to the boys in the trenches overseas by the Red Cross and medical societies, often by passing the can at movie theaters. 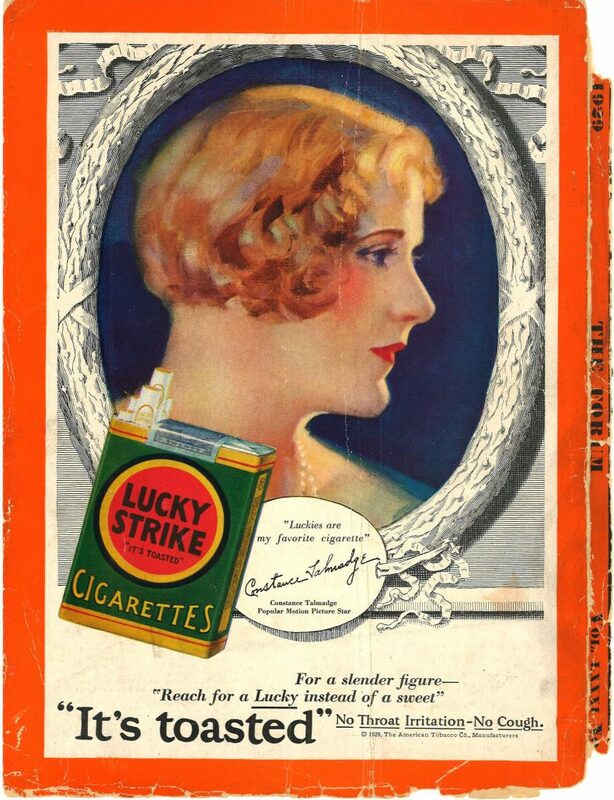 Cigarettes were shown as both sinful and sophisticated. Seemingly everyone smoked: tramps and tycoons, harlots and heiresses, tough guys and good guys. Smoking was rebellious when a wayward teenager in Angels with Dirty Faces (1938) smoked, just as it was in the 1950s when James Dean lit up, but a cigarette was a sign of refinement when in the hand of Katherine Hepburn or Clark Gable. 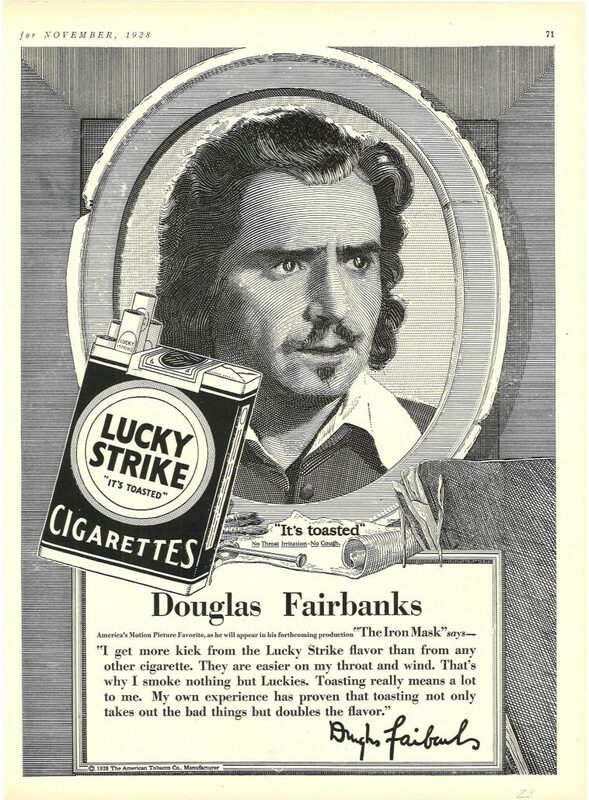 In westerns, cowpokes, horse thieves, cattle rustlers, sheriffs, and city slickers alike all smoked. And in the film noir era beginning in the mid-1940s, every petty criminal, gangster, gun moll, and mob boss lit up in scene after scene, as did every street cop, detective, private eye, and chief of police.